Imprisoned for a 25-year sentence related to his conviction for human rights violations (Fujimori initially fled to Japan in 2000 as prosecutors closed in on charges of corruption), the former president remains a controversial figure among Peruvians. Many believe his firm hand restored social and economic stability to Peru after a decade of political unrest, triple-digit hyperinflation and policy dysfunction. But though his tough approach against the Shining Path brought the rebel group to heel, Fujimori also ordered death squads to murder and kidnap Peruvians sympathetic to the Shining Path insurgency. At age 77, he’s now an old man. But many other Peruvians, less impressed with fujimorismo, worry that his daughter will quickly pardon him, release him from prison, and bring many of his former advisers back to power, once again with impunity. Throughout the race, right up to this week’s protests, Keiko has been unable to shake those fears. Notably, her campaign’s chief economic proposal is to deploy up to $8 billion in so-called ‘rainy day’ funds, saved by previous governments, to a massive infrastructure spending program. That hasn’t distracted from the real fears about her father’s painful legacy. Though she has expressed some regrets about her father’s years in power, she hasn’t exactly denounced him, either. The contrast that most immediately comes to mind is Park Geun-hye, who expressly apologized for the excesses of her father’s authoritarian regime in South Korea between 1961 and 1979. Park, whose father was assassinated in 1979, went on to win South Korea’s presidency with ease in December 2012. With Fujimori’s first-place showing almost certainly secure, the real race to watch on Sunday will be the fight for second place. A reliable neoliberal economist with decades of experience, PPK first served in Peruvian government in 1980, when he was appointed energy and mining minister. 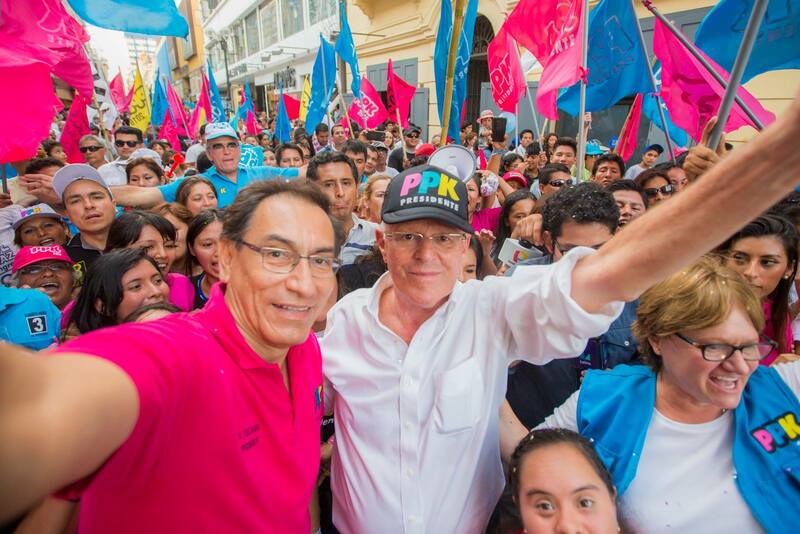 Though he gained momentum in the waning days of Peru’s 2011 presidential election, he finished 5% behind Keiko Fujimori and was excluded from the runoff (in which he ultimately endorsed Fujimori). A runoff between Keiko and PKK would feature two candidate with relatively orthodox economic proposals, though Keiko’s spending plans are more aggressive. Today, however, the candidate with the rising momentum is with the left-wing Verónika Mendoza, who is now essentially tied with PKK for second place in the latest polls. 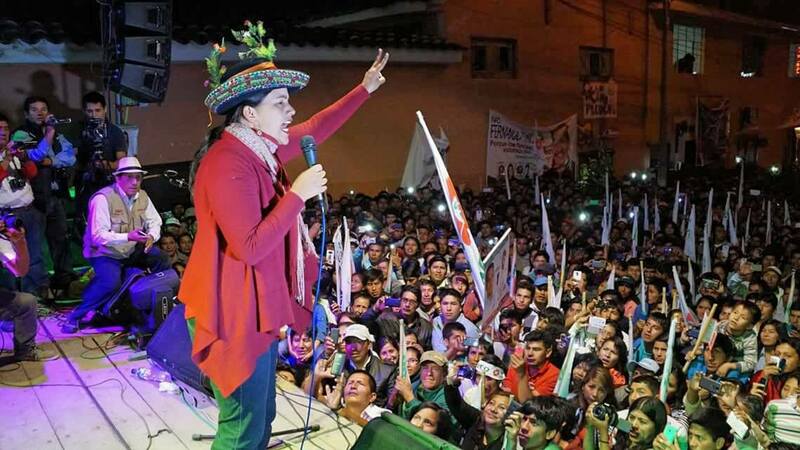 Leading the abashedly left-wing Frente Amplio (Broad Front), Mendoza, a Cuzco native, just 35 years old, and a member of Peru’s Congress since 2016, could upend Peruvian politics in a runoff. Unlike Keiko and PPK, Mendoza wants to scrap Peru’s participation in the Trans-Pacific Partnership, and unlike Humala, Mendoza really does want to transform Peruvian government a-la-Chávez, including a new constitution. Yet the fears that a Mendoza administration would drag Peru’s economy hopelessly to the left seem relatively overstated, given that Peruvians also once worried that Humala himself would institution Venezuelan-style socialism. Like Humala, Mendoza (if she wins) would lack the absolute majority in the Peruvian Congress to enact such sweeping change. Nevertheless, a runoff between Keiko and Mendoza would establish a much more ideological showdown in June. Mendoza’s rise, however, is just the latest in a series of odd twists and turns. 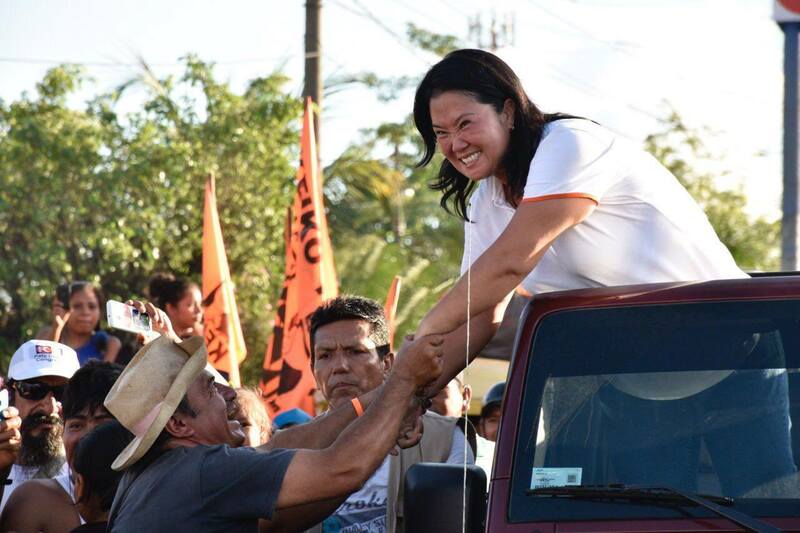 Until March, it seemed like Keiko’s second-round opponent might be Julio Guzmán, a centrist technocrat and rising star who has worked as an economist for the Inter-American Development Bank and as a deputy minister in the Humala administration. Married to an American woman, Michelle Ertischek, the 36-year-old Guzmán seemed well on his way to securing second-place status when Peru’s national elections board invalidated his candidacy on a minor rules technicality. It was a jarring and disappointing step for a country that’s deepened its commitment to democracy since the fall of the Fujimori regime. 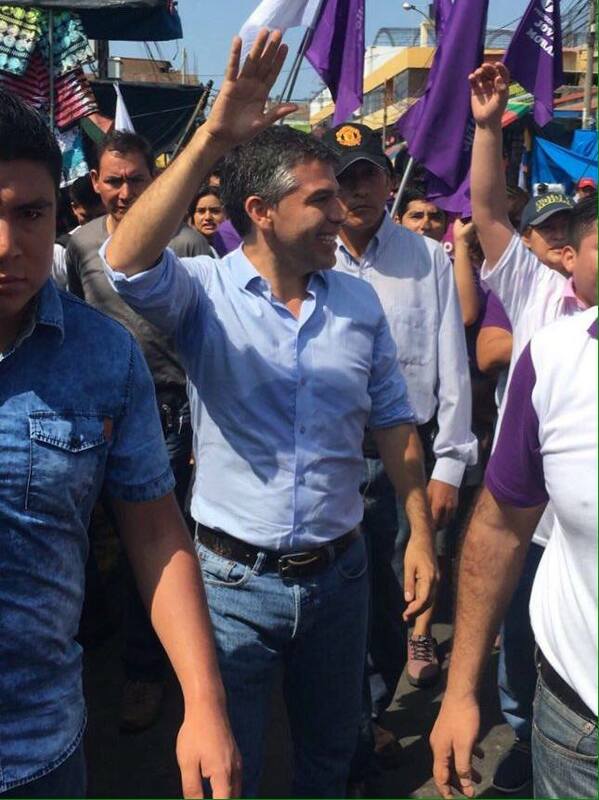 Guzmán had campaigned hard against the corruption with which Peruvians associate Humala and all of the country’s former presidents, and against Keiko Fujimori as a front for the return of authoritarianism. Though Guzmán hasn’t endorsed any of the other candidates, it seems clear that a growing share of his supporters are increasingly lining up behind Mendoza (and, to a lesser extent, PPK). Notwithstanding the 2011 ‘AIDS versus cancer’ runoff, the example of the past 15 years of Peruvian government have featured far more continuity than rupture, and there’s every reason to expect that Peru’s next president will follow in the path of cautious pro-business economic policy, limited social policy gains and a moderate, friendly foreign policy throughout the region. It’s a path that’s delivered more than two decades of economic growth and higher standards of living for most, if not exactly all, Peruvians. Peruvians on Sunday will also elect the 130 members of Peru’s unicameral Congreso de la República (Congress of the Republic), selected through closed-list proportional representation across 25 multi-member districts. 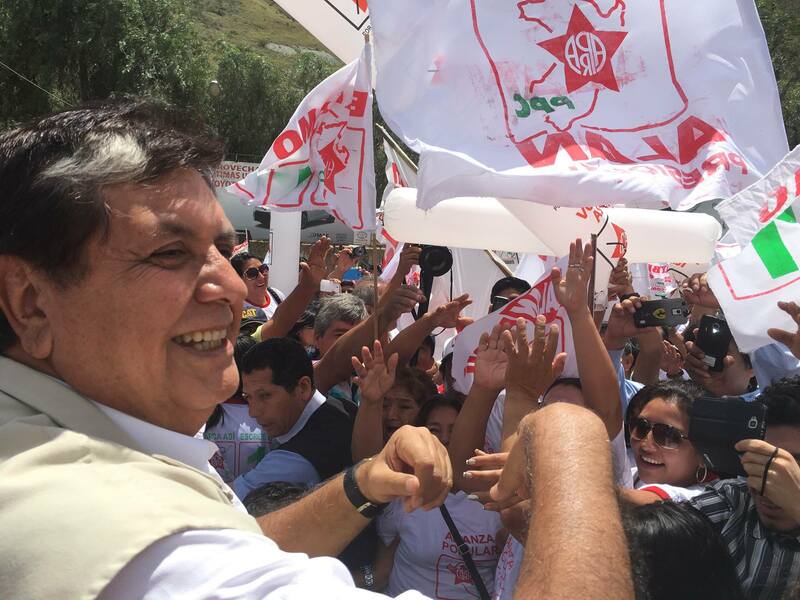 In modern Peru, with few exceptions, political parties have traditionally been incredibly weak and short-lived, far less powerful than the coalitions supporting Peru’s presidential candidates. That means that it’s also unlikely that Fujimori’s vehicle, Fuerza Popular (FP, Popular Force) can win a congressional majority. Indeed, a tradition of congressional pluralities partially explains the relatively smooth consistency of Peruvian policymaking since Alberto Fujimori’s flight from power in 2000, because each subsequent president has faced a potentially hostile Congress. Even as the rest of South America’s economies falter, Peru is still doing relatively well, notwithstanding an economy that remains heavily dependent on commodities, with oil, copper, gold and other metals dominating its export trade. But as Brazil tips into a deepening recession, Peru may have grown by 4% or more in the first quarter of the year. Unlike Brazil, which has a debt-to-GDP ratio of over 65%, or Argentina (around 50%) or even Colombia (Around 40%), Peru’s debt level is a far more manageable 20%. That will give Peru’s next president at least some fiscal maneuverability in the event of a firm downturn. The two presidents who preceded Humala (and who followed Alberto Fujimori) — Alejandro Toledo and Alan García — are also running in Sunday’s election. But they are mostly also-rans. Toledo, elected in 2001, was Peru’s first indigenous president, and he played a key role in restoring Peruvian democracy in the wake of the Fujimori era, though his comeback attempt in the 2011 election also fizzled. García, elected in 2006 as the standard-bearer of Alianza Popular Revolucionaria Americana (APRA, the American Popular Revolutionary Alliance), a longtime political party and movement, was serving his second stint in the presidency, a left-wing firebrand-turned-neoliberal-convert after presiding over hyperinflation in the 1980s. Both pursued a free-trade agreement with the United States enacted in 2010, and both left office with horrific approval ratings, just like Humala.